"Save time and money as Virtual PC allows you to maintain the compatibility of legacy and custom applications during migration to new operating systems and increases the efficiency of support, development, and training staffs. With Microsoft® Virtual PC 2007, you can create and run one or more virtual machines, each with its own operating system, on a single computer. This provides you with the flexibility to use different operating systems on one physical computer. " 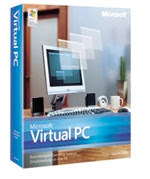 Virtual PC 2007 from Microsoft has especially been optimized for Windows Vista. This allows business customers to migrate to Windows Vista for a more secure and manageable experience, and at the same time they can also keep a previous Windows environment available to run legacy or custom applications in a virtual settings. Right now the software is supporting windows users only.